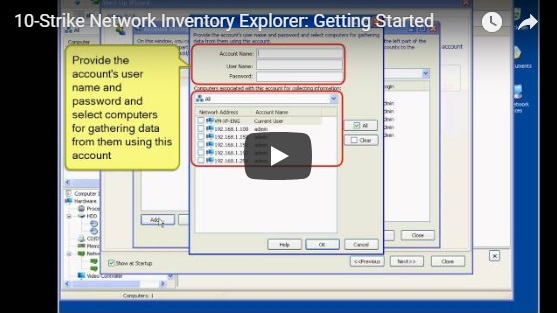 Here, you can watch tutorial videos showing how our network inventory program works. 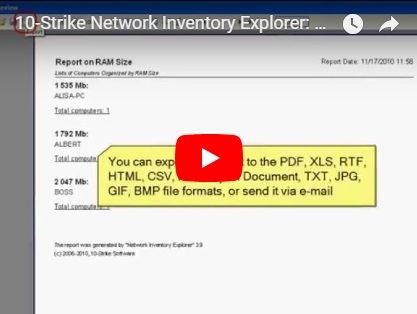 Video 1: Getting started with 10-Strike Network Inventory Explorer: adding computers to the PC list, gathering the inventory data using WMI, generating basic reports and the summary table reports. Video 2: Working with the program: scanning the network, gathering the inventory data, generating basic and summary table reports in details.